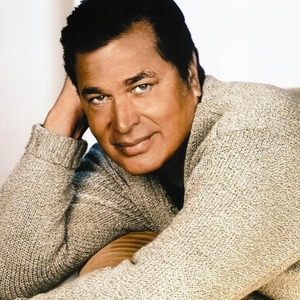 Engelbert Humperdinck born: 02-05-1936 birth place: Madras, India Starting out life as Arnold George Dorsey, Engelbert spent the early years of his life in India, until his family returned to England in 1947. He first worked as an engineer and then developed his singing and performance skills on the club circuit. In the early fifties, he took some time out from professional singing whilst he did his national service, and returned to performing in 1956. He continued to sing in clubs and recorded some unsuccessful material for Decca in 1958. In the early fifties, he took some time out from professional singing whilst he did his national service, and returned to performing in 1956. He continued to sing in clubs and recorded some unsuccessful material for Decca in 1958. His big break as a singer came in 1965. It was at this point that Gordon Mills, the then manager of Tom Jones, gave Arnold the new name of Engelbert Humperdinck. The new name meant that he was given another chance at recording with Decca records. Engelbert's recording of the country standard ?Release Me' reached number one in the UK chart and number four in the US. His version of this song is perhaps the most famous, and it is certainly the song that he is most remembered for. Other chart hits on both sides of the channel followed in the shape of ?There Goes My Everything' and ?The Last Waltz'. He had sixteen hit albums in America between 1967 and 1979 and released his greatest Hits in 1974, which reached number one in the UK. However, his cabaret style of singing started to go out of fashion in the 1970s, and he found it hard to maintain a presence in the British charts.